"I'm delighted, but most of all I'd like to thank the public because, at 3-0 in the fifth, I was out of it," the Spaniard told reporters. His 17-match winning streak makes him one of the favourites for the French Open, which starts in Paris on May 23. Coria, the most dangerous claycourt player in the world 12 months ago, began strongly and took advantage of mistakes by Nadal to break in the fifth game. A couple of misjudged attempts to serve-and-volley, however, allowed his opponent to level at 4-4. In the second set, the players traded early breaks before Coria conjured up a superb pass down the line to break Nadal in the seventh game. The Argentine broke again in the ninth to level the match at one set all but, instead of lifting his game, he then made a series of unforced errors to allow the Spaniard to race into a 5-1 lead in the third. Coria finally found the range on his shots in a marathon ninth game that produced 11 deuces. He then held off six set points before firing a forehand over the baseline to concede the set to Nadal. The Spaniard required further treatment at the start of the decider and Coria broke twice to take a 3-0 lead. However, Nadal managed to lift his game and force a tiebreak, which he won on the third match point when the Argentine volleyed over the baseline. 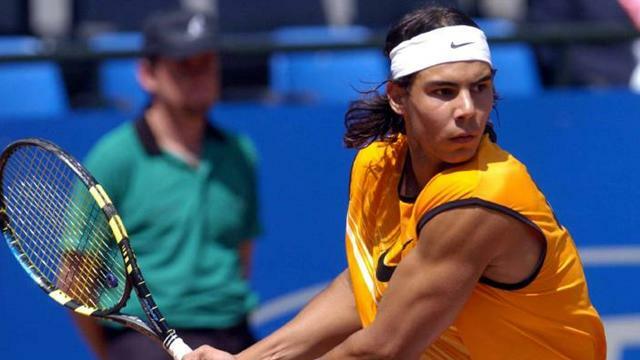 Nadal's triumph extended Spain's stranglehold on the Rome title, following victories by Juan Carlos Ferrero in 2001, Felix Mantilla in 2003 and Carlos Moya 12 months ago.